Commonly referred to as the Grand Dame of Union Square, The Westin St. Francis has been a symbol of elegance in San Francisco for more than a century. 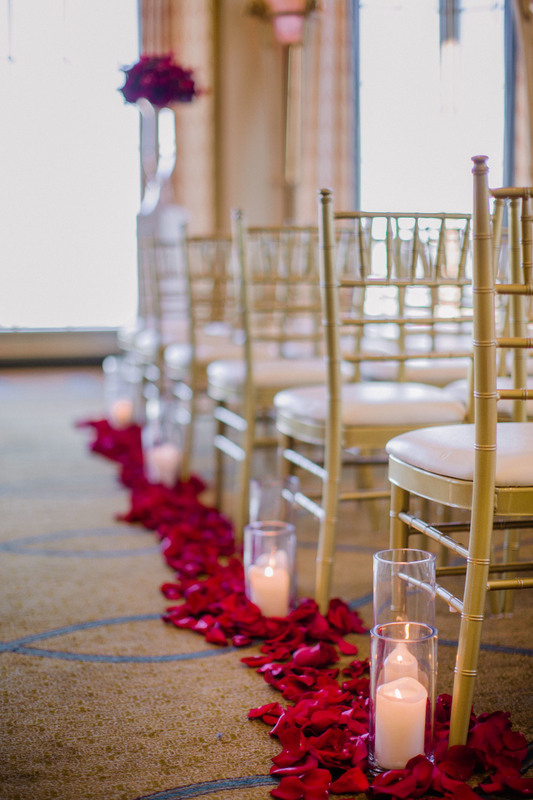 Its many rooms, some featuring exquisite historic detailing and others reflecting more modern luxury, have hosted beautiful wedding ceremonies, grand receptions, and business events of all types. 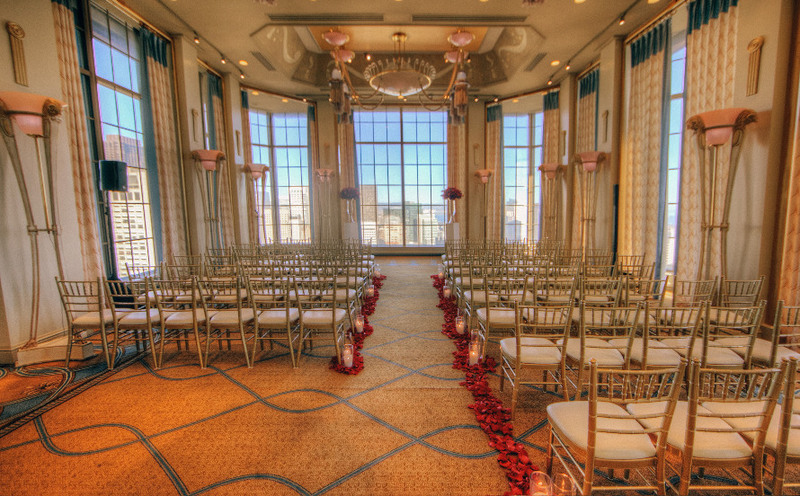 For a more contemporary ambiance Wedding celebrations are held in the Tower Building where its two premier spaces, Victor’s Palace and Alexandra’s, are a pair of sophisticated settings on the 32nd-story Imperial Floor. Five glass elevators overlook spectacular downtown panoramas as they whisk guests up to this sky-high getaway. Boasting breathtaking floor-to-ceiling views that extend from the Bay Bridge to the Golden Gate Bridge, these private rooms also dazzle at night: Glowing chandeliers and hundreds of sparkling pin-spots provide adjustable lighting to match your mood. Gold Chiavari chairs, custom Wedgwood china and your own Imperial Floor concierge make having an event up here a sublime experience. 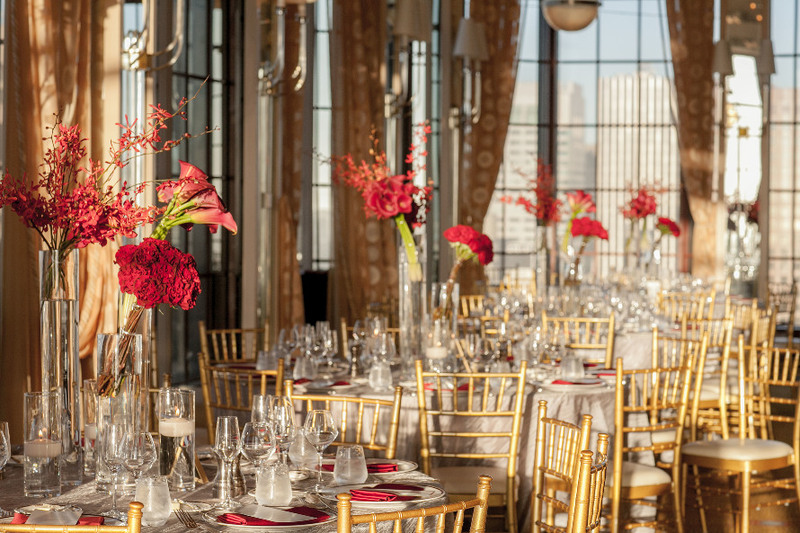 The incredible views rise 32 stories high above San Francisco’s iconic landmarks and are complimented by a decor that can be described as ‘elegantly modern’ and will elate any Wedding Couple in search of the perfect San Francisco wedding venue! Discover the allure of the city’s most charismatic and vital setting offering the grandeur of the past, coupled with contemporary luxury and style. Look no further than the Imperial Floor at The Westin St. Francis. To book your spectacular Wedding or Special Event, please contact Lauren Schardt at 415.774.0450 or e-mail her at lauren.schardt@westin.com. These stunning images were taken by the keen eye of the talented CLANE GESSEL of CLANE GESSEL PHOTOGRAPHY.